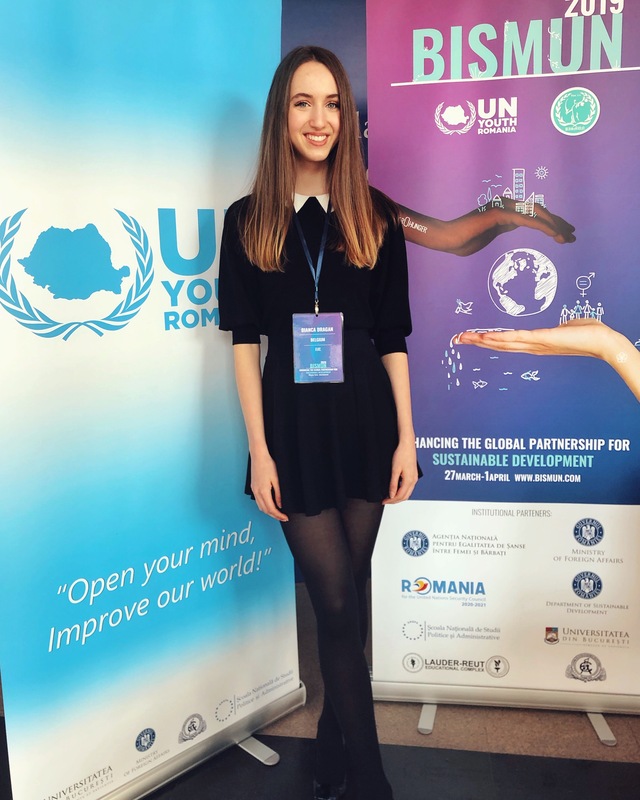 BISMUN este un acronim, provenind de la Bucharest International Model United Nations si reprezinta un proiect organizat de catre Asociatia Tineretului ONU. 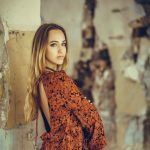 A unsprezecea editie a conferintei s-a desfasurat intre 27 martie si 1 aprilie 2019. O conferinta MUN este o simulare academica a organismelor Organizatiei Natiunilor Unite. Exista si alte conferinte care urmaresc acelasi tipar si simuleaza activitatea NATO sau a organismelor Uniunii Europene. Fiecare participant reprezinta o tara intr-un anumit comitet, fie ca delegat sau ca presedintele/ prim ministrul statului respectiv. In cadrul comitetelor, delegatii participa la dezbateri formale pe baza unor subiecte prestabilite. Comitetele sunt supravegheate de doi “chairpersons”, care coordoneaza activitatea delegatilor. Anul acesta, conferinta a avut loc la SNSPA (Scoala Nationala de Studii Politice si Administrative), spre deosebire de editia trecuta, care a avut loc si la Parlament. Am facut cunostinta cu persoane de la alte licee, din alte orase si tari, dar m-am revazut si cu prieteni, colegi de scoala. Nu voi intra in detaliile privind dezbaterile, pentru ca puteti gasi un rezumat al activitatii noastre zilnice chiar aici. Is the Renewable Energy Problem Almost Solved in the European Council? Dar BISMUN nu este numai despre ore de pregatiri, research in prealabil si expunerea punctului tau de vedere, a ideilor sau a politicii tarii reprezentate intr-un mod cat mai convingator… Este si despre crearea unor amintiri frumoase alaturi de tineri minunati si foarte inteligenti! Mai mult, se tin evenimente in fiecare seara, special pentru a socializa si a te distra! 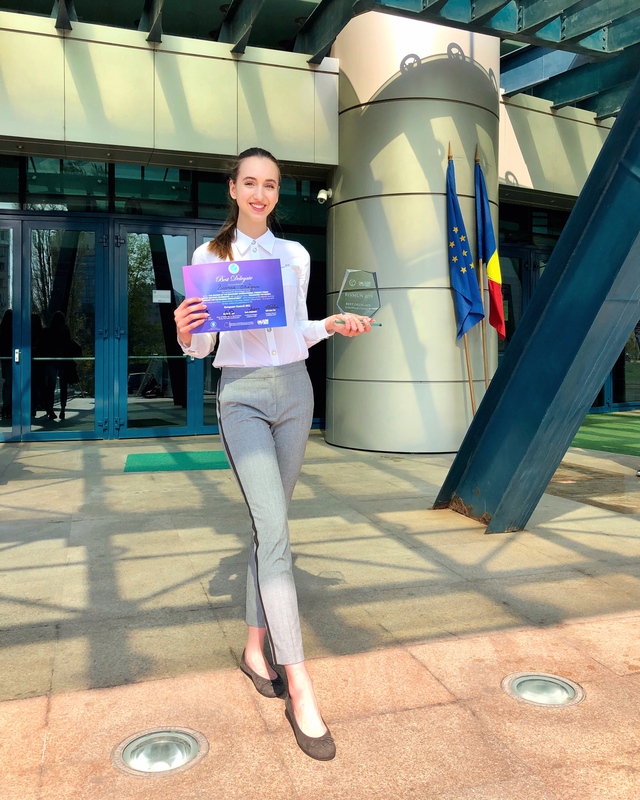 Anul trecut mi-a fost acordat premiul “Best Delegate”, ceea ce a insemnat enorm pentru mine. 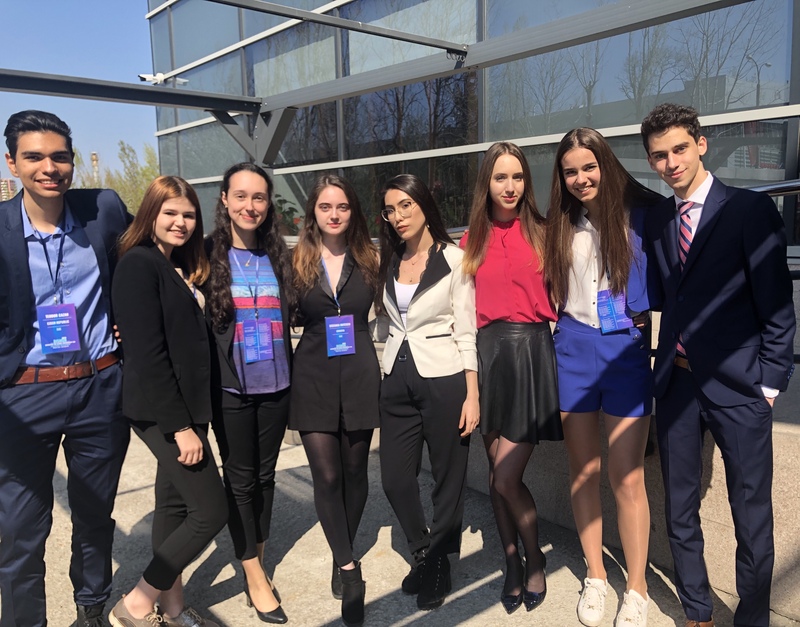 Ma simt onorata, fiindca mi-a fost inmanat premiul si la aceasta editie a conferintei si vreau sa le multumesc din nou pe aceasta cale tuturor celor care au transformat BISMUN 2019 intr-o experienta de neuitat! 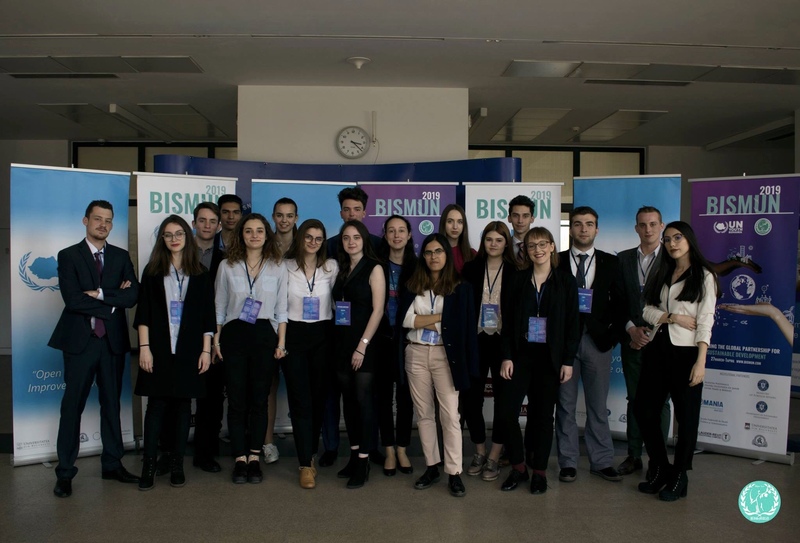 BISMUN stands for Bucharest International Model United Nations and it’s a project organised by UN Youth Romania. 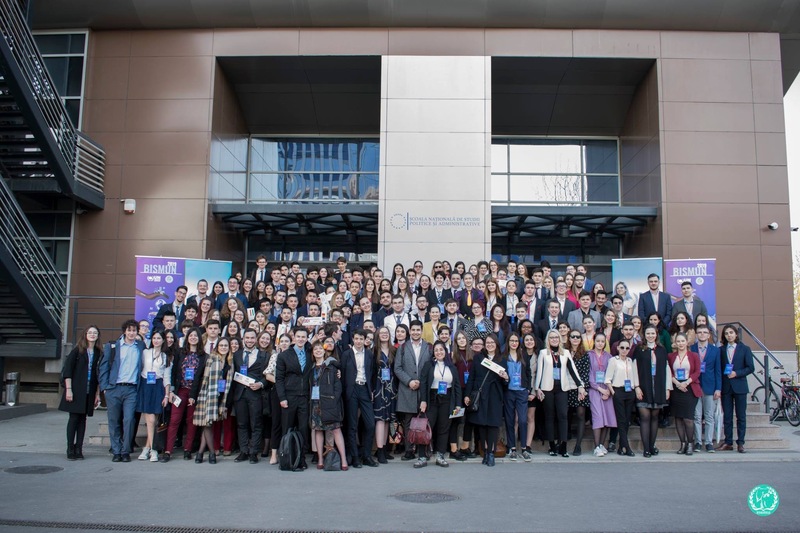 The 11th edition of the conference took place between March 27th and April 1st 2019. If you aren’t familiar with what MUNs are, let me give you a short brief. 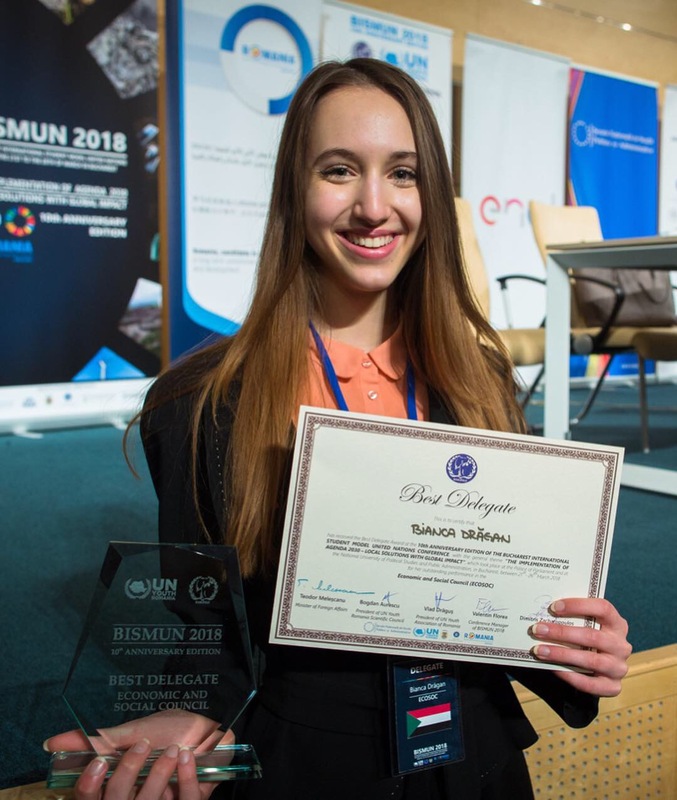 Model United Nations (MUNs for short) are conferences which simulate the activity of the United Nations. Other variations include Model NATO or conferences that are focused on the activity of EU Organs. 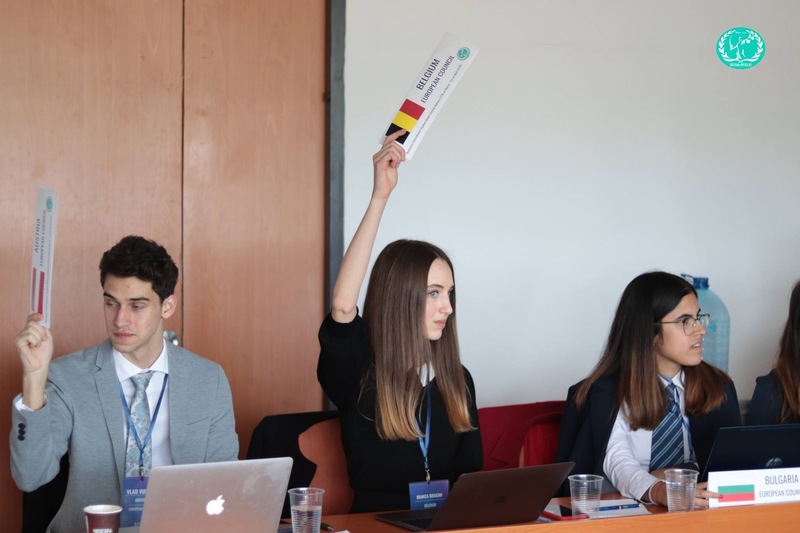 As a participant, you are a delegate that represents a country in a specific committee. 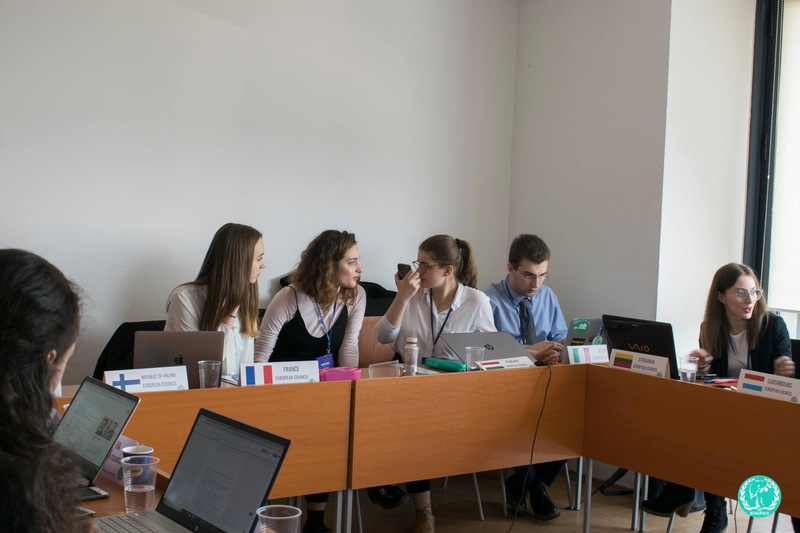 The conference unfolds over a period of 4 days, during which the delegates hold formal debates on the topics assigned beforehand. Each committee is supervised by two chairpersons, who monitor the delegates’ activity and chair their debates. At last, the first day of BISMUN 2019 came. 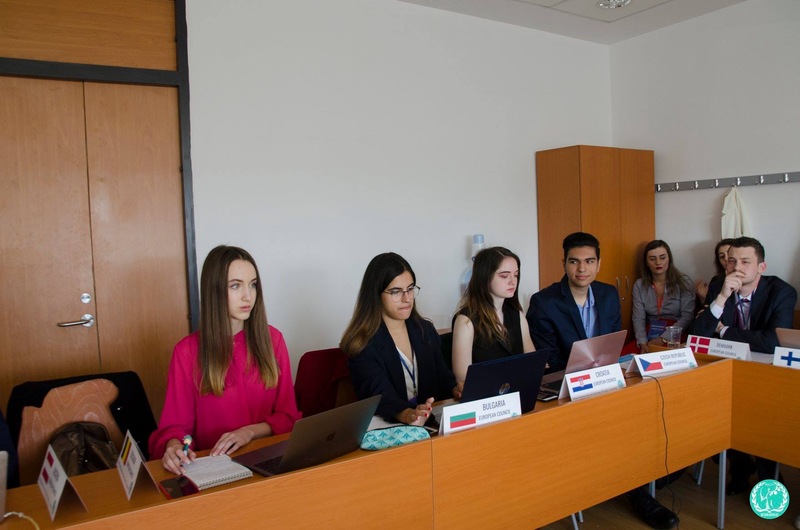 Last year it was held both at the Parliament and SNSPA (National School of Administrative and Political Sciences), however this year it took place only at SNSPA. I met new people from Bucharest, other cities and countries, but also school pals and friends I’ve made at previous MUNs. I won’t get into the details of 4-days worth of debates. In fact, these have already been covered! If you’re interested, each day’s debates have been summarised by our lovely press member, Irina. You can find them here. But the conference isn’t only about tons of research and getting your resolution or point of view across…It’s also about having fun, bonding and making friends with amazing, intelligent people! And for this, social events are available every evening. Even though last year they were a blast, I sadly wasn’t able to make it to any of the socials this year. Last year I received the “Best Delegate” Award, which meant the world to me. Therefore, I am honoured and humbled to have received the award a second time at this year’s edition. 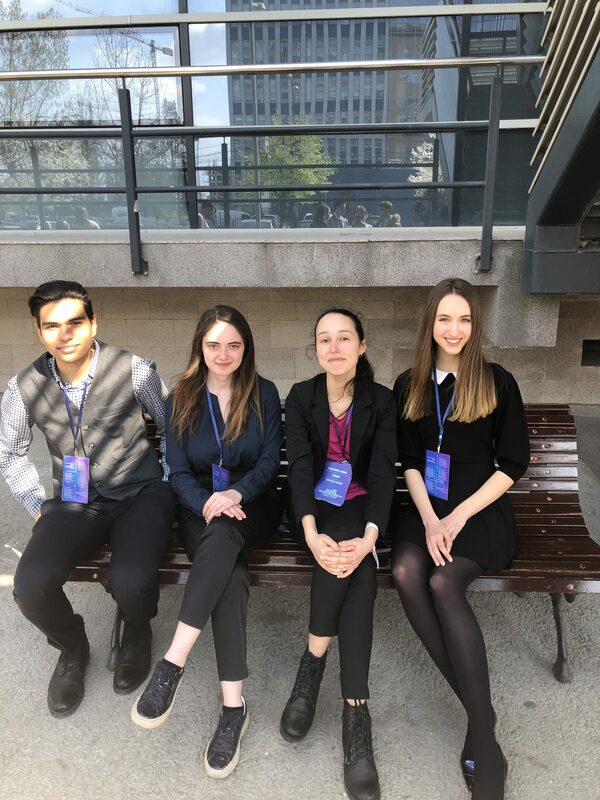 I would like to once again thank everyone who made BISMUN 2019 an unforgettable experience! More photos & info on BISMUN’s Facebook page and website.